If you are looking to buy a house on Long Island, there is a good chance you are also looking for assistance with this process. An NY real property lawyer can represent you throughout the process of buying a home, including assistance with your offer, contract, inspection, due diligence, and closing. A residential realtor performs some of these same duties and functions during the purchase process, but not all of them. This leads to the inquiry: do you need both? How Can an NY Real Property Lawyer Help in a Residential Purchase? An NY real property lawyer provides a great deal of assistance during the purchase of a residential property. From the very beginning of the acquisition process, a lawyer can help you review an offer and make that offer to the seller. Once submitted, an NY real property lawyer can communicate with the seller or seller’s representative to ensure you are comfortable with the initial terms of the offer. Once your offer is accepted, an NY real property lawyer provides representation and advice on the purchase agreement. Many realtors rely on a form agreement without modifications, but a form agreement isn’t the best reflection of your transaction. Your wants, needs, the property itself, and other aspects of the sale are unique to your transaction. An NY real property lawyer will advise on these issues and push the seller for changes in the contract. Throughout due diligence and inspection, the advice of an NY real property lawyer is equally helpful. Given a property lawyer’s extensive prior experience with real estate transaction, a lawyer can advise on the outcome of a survey, inspection, and title. Finally, at closing, a lawyer is a huge asset. 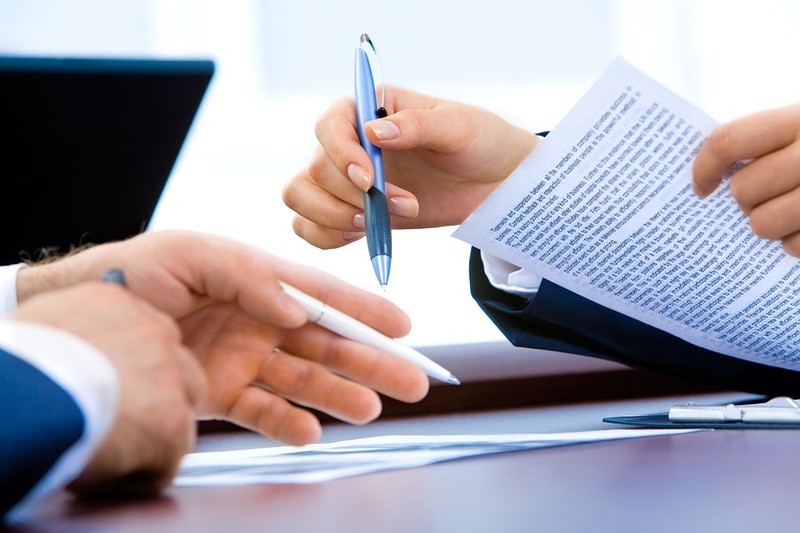 Prior to and during the closing process, a lawyer can review each document for accuracy and proper execution. This prevents serious and costly potential problems with your paperwork. What Does a Realtor Do During the Purchase Process? Throughout a real estate transaction, a realtor acts as a facilitator for a buyer. Likely, when you wanted to walk through a property, you had to contact the realtor or real estate agent, rather than the seller directly. Similarly, the showing was probably arranged and carried out by the seller’s real estate agent. Throughout this process, buyers may or may not have a real estate agent of their own. In New York, the purchaser of residential property is not required to hire a realtor, and frequently, the seller’s realtor handles all of the documentation and arrangement of the transaction. In these instances, the buyer isn’t required to pay any fees to the realtor, but you also lack the assurance of professional advice. Before you execute the contract for real property and proceed to closing, someone with knowledge of residential real estate in Long Island should provide advice. A realtor can provide data on comparable sales and listings in the area, information on trends in the local market and neighborhood, and hand communication with the seller and seller’s representation. Knowledge of the market and comparative transactions and property values can greatly inform your purchase and get a fair price. As well, when you hire a real estate agent as a buyer, that agent should, in theory, have your interests above all others. Yet, this isn’t always the case because, unlike an NY real property lawyer, the realtor’s commission is probably based on the purchase price of the home. Do You Need Both a Lawyer and Real Estate Agent? The simple answer is it depends whether you want to hire both a lawyer and realtor for your purchase of residential property. An NY real property lawyer and real estate agent perform many of the same functions during the purchase of residential property. Both parties act as your agent in finding comparative pricing, giving the explanation of the purchase process, and communicating with the seller. As well, a lawyer and realtor can assist with due diligence and closing – but there are also differences in these roles. An NY real property lawyer has additional insight into the contractual requirements of the transaction, obligations you may have during due diligence, and your rights to terminate the contract or cancel the closing. On the other hand, a realtor has more insight into property values, comparative purchases, and market trends. In some instances, both types of expertise are needed for a successful transaction. If you are contemplating the advice of an NY real property lawyer during the purchase of residential property, the Law Office of Samilde Perez can help. We offer a free initial consultation to all real estate clients, in which we can assess your needs for a lawyer and explain our approach to residential transactions. To schedule a free consultation, call us at (516) 216-5060. ← What Happens to NY Real Property When a Relative Dies Without a Will?